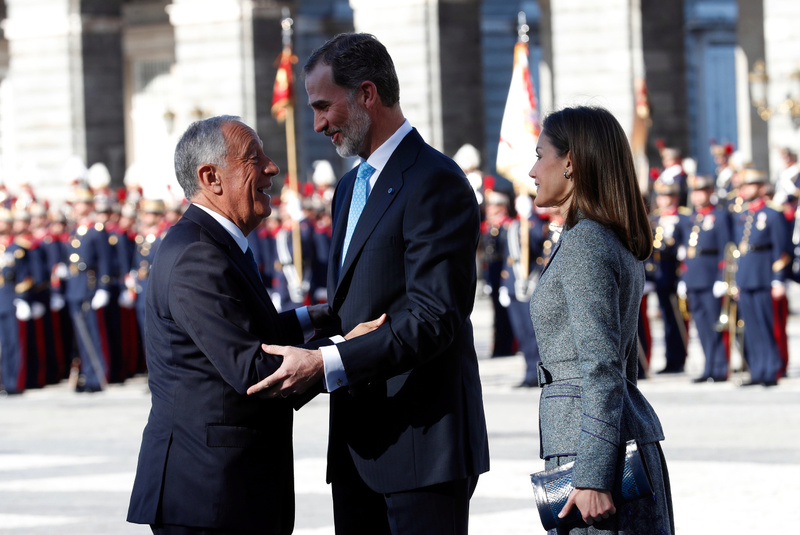 Portuguese President Rebelo de Sousa, who is on State Visit to Spain from April 16 to 18, was officially welcomed by King Felipe and Queen Letizia at the Royal Palace of Madrid on the first day of the visit. During the welcome ceremony that was held in the front courtyard of the Royal Palace, the national anthems of Portugal and Spain were performed under salvos of 21 guns. His Majesty the King and President Marcelo Rebelo de Sousa reviewed the battalion of the Royal Guard who paid tribute to the guest. The welcome ceremony ended with the parade of the Royal Guard. At noon, the President of Portugal moved to the Palace of La Zarzuela where he had a meeting with King Felipe. A lunch was offered in the honour of the President Rebelo de Sousa at the Palace of Zarzuela by the Spanish King. 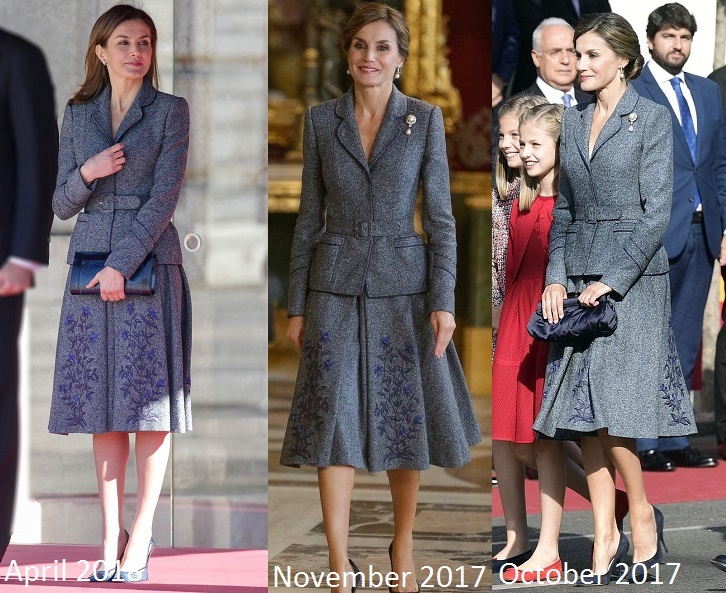 For the official event, Queen Letizia chose Felipe Varela tweed skirt suit that she premiered at National Day Parade in October 2017. Queen again wore the piece for a council meeting in November 2017. 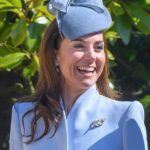 The gray-blue fitted jacket with belted waist is paired with a matching pleated skirt that features a hand-embroidered cheviot. 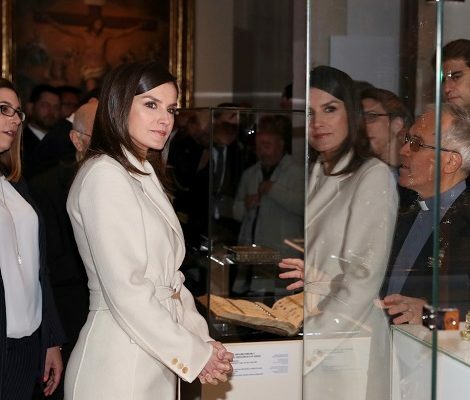 This time Letizia paired it with new blue accessories from Magrit. She wore bespoke animal printed python Pumps from Magrit that has a close resemblance to its Lucia and Hawa model. 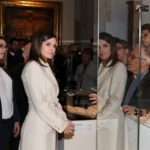 Letizia carried Magrit’s Hawa handbag. 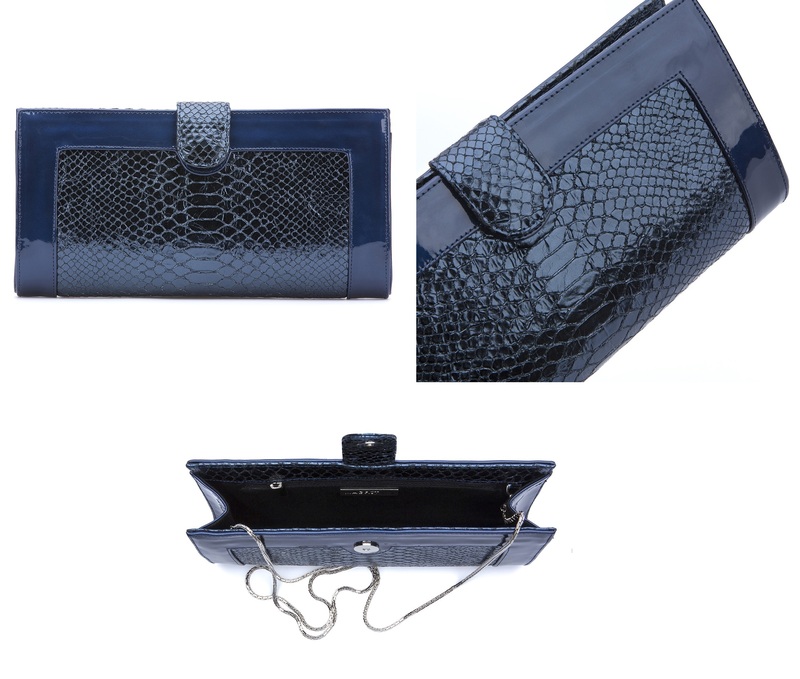 Made of engraved leather and metallic blue patent leather the clutch is available on Magrit for $296. 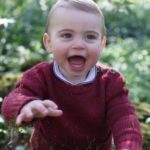 Queen complemented her outfit with Bvlgari aquamarine blue earrings that were gifted to Letizia on the birth of her eldest daughter Princess Leonor. As the pair of earrings is detachable, Letizia has opted today for its mini version, wearing only the top hoop. We might get a treat of tiara with gown tonight at the gala dinner offered by King Felipe in the honour of Portuguese President. Stay tuned! !